The particulars of that document may not be clear to people unfamiliar with federal investigations – so what exactly is it? 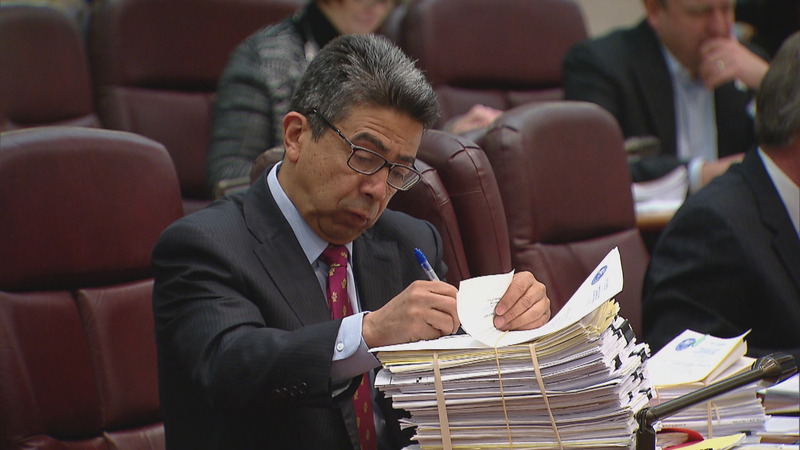 Michael Monico, a former federal prosecutor better known for his work as a criminal defense attorney as a partner at Monico and Spevack, also said it’s almost certainly not the only such affidavit related to the Solis investigation. “Once you get a search warrant, every month you have to go back to the judge and tell the judge that we have successfully gotten all these phone calls, and you have to convince a judge that either a crime has been committed or will be committed, and for that reason we need to continue this search warrant,” Monico said. Cotter says the depth and breadth of the investigation into Solis – and the sheer volume of phone calls and recordings involved – is remarkable. Pissetzky says the thorough nature of the investigation is reflected in the document on which the Sun-Times based its reporting. The three attorneys also say it’s unclear based on what we know whether the investigation turned up evidence that House Speaker Michael Madigan committed any crimes. But even though Solis eventually cooperated with the federal investigation, that doesn’t mean he’s immune from future legal trouble.